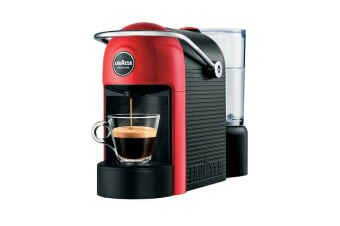 Enjoy barista-quality coffee from the comfort of your home with the Lavazza Jolie Espresso Coffee Capsule Machine. The Lavazza Jolie Espresso Coffee Capsule Machine – Red is perfectly designed for making delicious homemade coffee. The compact size of the Jolie makes it perfect for transporting and moving around the house when entertaining. You will barely hear a peep out of the Jolie, which is designed to minimise noise when in use. Elegant in style, the Jolie will allow you to create delicious coffee to suit every palate.